The genre of children’s picture books remains the field I love most in all of literature — and, as any writer for this age group will tell you, it looks easy, but is actually . . . well, kind of impossible. Maybe the first step is to lighten one’s load of all that being a grown up involves. To remember how the world looks and feels to a child. What better way than to laugh over some good cartoons? Cartoonists are brilliant at accessing the funny bone, and the artifice-slicing, honest viewpoint. 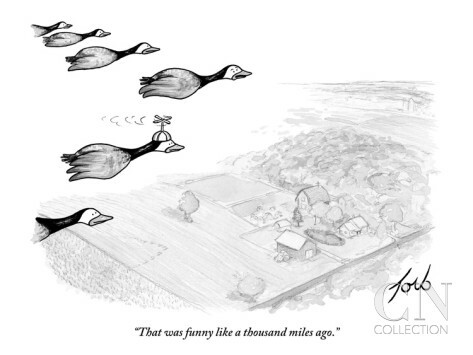 Here is a cartoon I often come back to, for delight and inspiration. It’s by a wonderful cartoonist, Tom Toro.